Now that I’m back into the swing of blogging about specific symptoms of Fibromyalgia, I’m also trying to update old Fibro posts. One of the symptoms that I find hardest to handle is that of wrist and hand pain. You need your hands to do a lot of things in life! So here I explain what it feels like and how it affects me. I then also provide 8 Tips to help you if you have to fight this yourself, whether through illness or other causes. Let’s get to it! What Does Hand Pain Feel Like? Winter (as it still is on the day I wrote this post) is really hard on my hands. Normal gloves don’t warm them up and the cold just makes them hurt so much. Like Razorblades: sometimes it feels like someone’s inserted some sharp, pointy implements between my finger joints. It usually impacts the knuckles, where the fingers join the hand. But this ‘sharp pain’ can be between individual digits as well. This is the worst kind of hand pain for me. Massive Tightness: As it is today as I type this, my hand musles and tendons just feel massively tight. It’s almost like they want to turn my hands into ‘The Claw’ (Movie Reference: Liar Liar). This can make stretching hands really hard, lifting or carrying really difficult or even just typing a blog post. The Numbness Effect: sometimes my hand pain can simply start by sleeping wrong, leaning on them in the night. Then the pressure I’ve placed on them leads to a high level of inflexibility in my fingers. If this one occurs, usually one of the other pain versions above will follow. I don’t know how anyone who has lost a hand (say though an accident, or fighting as part of the armed forces) copes. You need your hands for everything really: getting dressed, getting washed, making a cup of coffee, driving… it’s hard to think of a version of human activity that doesn’t need your hands. Even watching TV, you need hands for the remote control or to cradle snacks. Even where relationships are concerned, I’m a huge believer in ‘real hugs’ (which don’t put me in pain if I know they’re coming!) – but embracing requires arms and hands. Wiping away something else’s tears needs a level of dexterity. 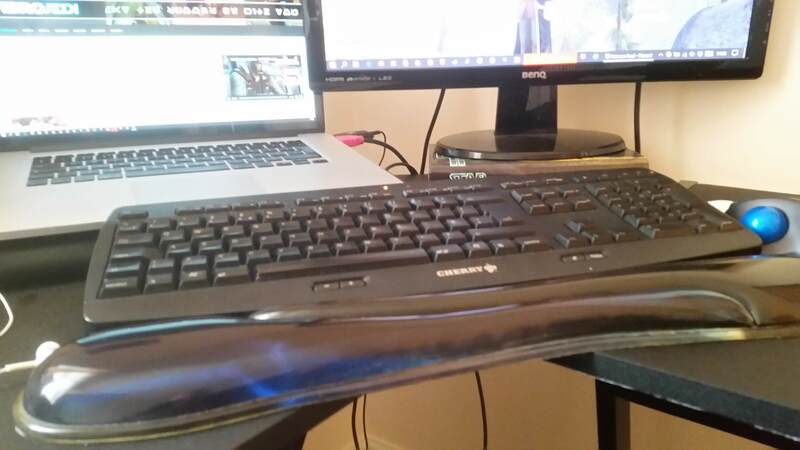 Blogging: Needless to say writing blog posts and gaming guides involves a lot of typing. Although I’ve tried using dictation before, it didn’t work out for me. This is because health and gaming content have a lot of specific terminology. So when I tried dictation, I spent a lot of time training the software – and not writing. I also found that “Brain to hands” worked better than “brain to mouth”. So posts flowed better when I had not dictated them! Housework: as I don’t have a ‘normal’ job anymore, doing the cleaning and laundry is my first job of each day. Yet scrubbing stains off the carpet or even vacuuming really hurt my hands and wrists. I push through it because I sort of have to. Sometimes even lifting the kettle, or putting plates away can hurt! This sort of pain can become very distressing. Gaming: I mainly play a couple of games: SWTOR and LOTRO. But using the mouse or pressing the same buttons for movements, or abilities can get really tough, especially in intense battles. Most online games have a chat ability, which involves typing. I do have headphones which can help me voice chat, but if my head hurts then the pressure of the headphones can be too much, so I use earphones and type chat. Family Life: as my hands nearly always hurt, there are certain elements of family life that are affected. One of the most annoying is that holding a book open to read to my daughter is painful. If it’s a small book then it’s just my hands that play up – if it’s a chunkier or larger one then my wrist pain kicks off too. How Can You Reduce Hand Pain from Fibromyalgia? Soaking my hands in warm water (from the tap) can provide a temporary relief. Having a bath and remembering to leave your hands in the water (instead of, say, reading a book) can help massively. I even occasionally do the washing up because it means my hands are in warm water for a decent length of time. The heat from the water can help to relax the muscles and tendons in my experience. I had to fight my doctors to get this on my repeat prescription, but it does really help. Lather your hands in Ibuprofen gel then give them some time to relax and let it soak in. You may need something stronger, but you have to show the doctors you’ve tried the lower-strength stuff first, in my experience. An alternative, which I’m pretty sure I can’t get on prescription is Deep Heat Cream. This uses a weird combination of heat to help the fingers/knuckles to move easier and menthol to cool any inflammation. I have found this generally works better than Ibuprofen gel and soaks well into my compression gloves. Avoid typing even for an hour or so. When I play, I often avoid type chatting, even though I’m part of social guilds. Why? Because very often it hurts too much. Taking breaks is rarely achievable in the workplace so I have to give my hands rest in other ways. Another idea I have tried is using dictation software or voice-activated search. This is a bit hit or miss and I have to wear a headset (which can trigger headaches, ironically). Dictation is geared towards ‘natural langauge’ and not every computer program supports that. Macs have some dictation built in and Dragon Dictate is highly recommended if you type a lot of prose. You’ll have to make corrections and be very patient as it learns your voice, but it does reduce typing stress. Because my hands hurt, I usually try to type too quickly, leading to typos, which need correcting. Ironically by going quickly, I usually end up typing more than I need to. Take your time, use Copy/Paste wherever feasible. Hand Pain from computer usage is a form of RSI (Repetitive Strain Injury), so try to reduce the repetitiveness. 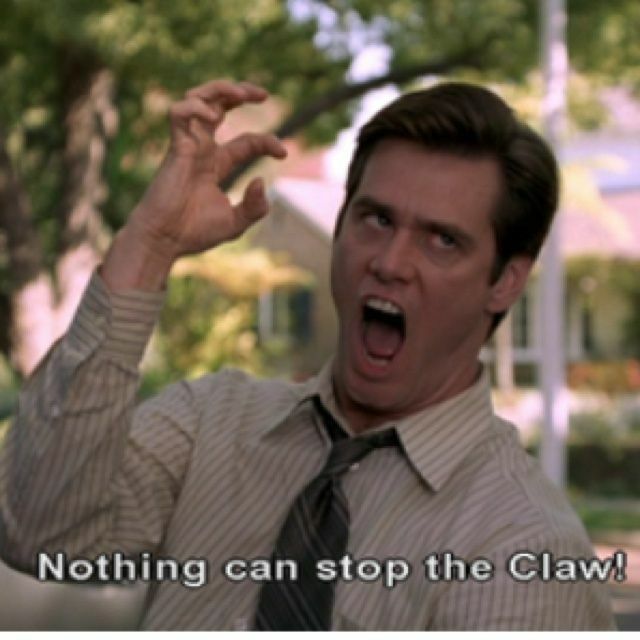 I don’t type very often on my mobile phone because it enforces ‘The Claw’! So on Twitter, I use my laptop, or my Kindle which has a ‘swipe to type‘ feature built into the Android operating system. That along with the much bigger keyboard really helps. Someone on Twitter recommended I purchase a set of Arthritis Gloves. Fingerless, I can still use my computer and type, but they help increase circulation and also apply a little pressure to the hands. I have found these massively reduce the pain in my hands and I have also reduced how much reliance I place on my TENS machine. Available from a lot of places, home TENS machines are fairly affordable. You have to keep batteries on stand-by and periodically replace the pads, but TENS machines send slight electrical pulses into the hands, helping stimulate your body’s natural processes. It really does help my hands, but can also be used on other parts of the body – for me, the neck and shoulders are the primary targets. And it does help! If you use a computer then giving your wrists the right support. This really does help my wrist pain and, to be honest, should be used by people without hand pain! Excuse the poor photo below, I have a very old phone! 2019 Update: something strange happened with my tens machine. I may have messed up the settings but it made my pain worse so I stopped using it for this purpose. You can, of course still try it – and you may find TENS helps with pain in other muscles. As with all aspects of Fibro, I just ask for understanding. If I don’t do group content in a computer game because I hurt, I’m not being antisocial. If I don’t add to my site very often that’s okay. Fibromyalgia hand pain causes a lot of distress for me. 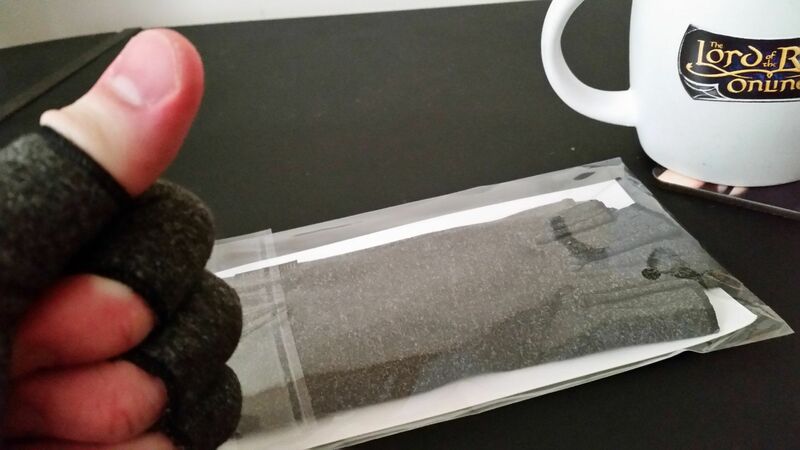 So now I’m going to go and rub some Deep Heat Cream into my hands after updating this post! Great tip about the Ibuprofen gel. As you know I don’t have fibromyalgia, but I do suffer from chronic nerve pain in my legs. On bad days, I found that Ibuprofen gel takes away that sharp edge. It may not help a lot, but with much pain even a little bit is such a relief. I’m luckily that you can buy it in regular drug stores here in the Netherlands (it’s officially meant for muscle pain after too much sports but hey, it does the trick, sort of), so I don’t even need to fix a prescription! As always, it’s really interesting to read about fibromyalgia and its effect on your daily life – you can look up on the internet what a disease does, but it never gives you the same understanding – and I’m super impressed with how you cope. So inspiring. After a break of 11 months from work I am now planning to go back to my very physical job (an early interventionist ) part time in the public sector. All the uncertainties are killing me ..but I need to make a start and perhaps even plan to use my skills in a self sustaining manner. It’s not clear now as to the how of going down the path..but I do want to believe that when God closes a door he opens another window ! Any chance I could correspond on email with you ? Good luck with your return to work, it won’t be easy, but the hardest part is the first step. Take care. thank you for the hand tips- I have quite a time with this problem, one of the things that helps me is dipping my hands in hot wax, have you tried that? No, I haven’t actually. Doesn’t that just leave hardened wax around your hands afterwards? I’m not the only one to hand wash dishes to help my hand pain then. Even though I have a dishwasher!! I’m learning to use the speech recognition built into windows 10 at the moment. It seems ok and appears to learn as you use it so I’m hopeful. It’s a real shame that it doesn’t work for your day job. A gap in the market maybe? Haha, yes I’ve used the hot-mug method too. But I keep re-heating my drinks so I don’t waste any. And yes there is a gap in the market for coding-by-dictation, but having looked into it, it’s massively challenging to create because of the huge variety in coding languages and relative flexibility in naming conventions inside software. So there is a gap, but it’s going to take a larger company with a team of techs to get it right I think.